As Halloween approaches tricks or treaters, party goers and fanatics alike will be cinching their waists, parting their hair and slipping on a jet black gown, all in ghoulish homage to the iconic Vampira. Although Vampira’s image is widely known, the story behind the vamp is one not often told. The documentary Vampira and Me by director R. H. Greene charts the meteoric rise of Maila Nurmi, the creator of the original glamour ghoul. 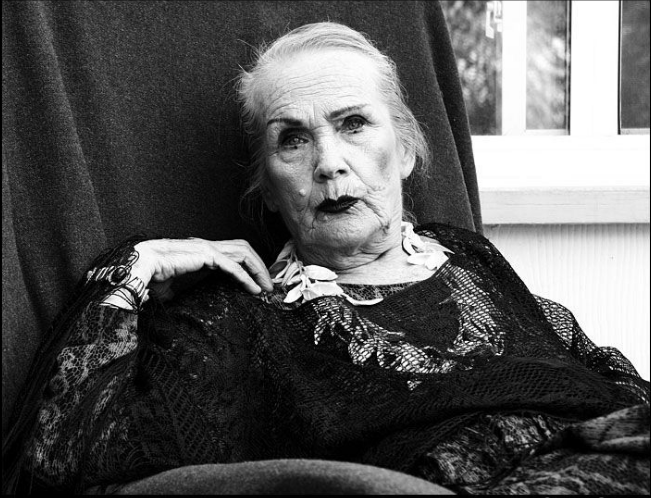 Greene struck up friendship with Maila Nurmi during the filming for the documentary ‘Shlock! The Secret History of Hollywood’. This highly rare, spirited interview between Greene and Nurmi forms the backbone of the film and allows the viewer to dig deeper into her character. 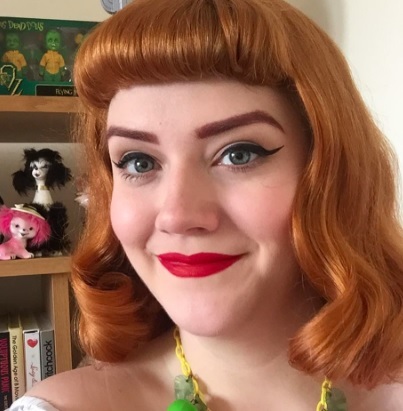 Nurmi presents herself as a highly passionate, opinionated and witty woman who carries a great deal of resentment and contempt for the Hollywood who wronged her. The documentary sets out with the intent to prove the importance of Nurmi’s creation in twentieth century popular culture and with the help of Nurmi’s insights, clever use of archival footage and previously unheard recordings it succeeds to do just that. There is only 2 minutes remaining of footage of The Vampira Show but what we do have is hundreds of publicity stills, articles and public appearances to chronicle her brilliant yet turbulent career. It is incredible to think that Vampira only exists in a brief two minute clip yet she has impacted so much of popular culture in particular many people’s belief she was the original ‘goth’ girl. Goth girl aside Maila was an incredibly intelligent, quick witted women whose strong female presence on television changed the way horror was viewed by the public. What is interesting to note of Vampira is the impact her local regional television show had in conservative 1950s America. 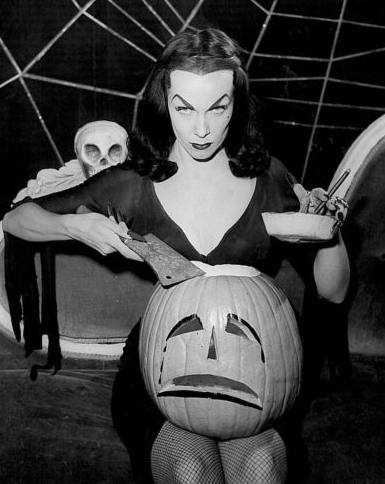 Sardonic and dry, Vampira openly taunted wholesome families and consumerism every week and the audiences lapped it up. The show itself ran for just over 1 year, ultimately being cancelled at the drop of the hat when Nurmi challenged the syndication of the show across the country. Throughout her life she fiercely continued to fight for the rights to her creation but as the documentary shows ultimately this right was not granted. The later half focuses on the aftermath of The Vampira Show which saw Nurmi living in abject poverty and struggling with her mental health after a series of horrific assaults from crazed fans. By this point the press saw Vampira as a gimmick and made light of her trauma furthering her resentment of the media. However in her own words she stayed camera ready for 20 years but eventually came to the realisation that her time as Vampira had came to an end. Nurmi was also involved in a court case against Cassandra Peterson aka Elvira, the vastly popular horror host who borrowed a lot from Nurmi’s Vampira. It was no doubt that Nurmi held the intellectual property of her beloved Vampira but with no money she had to give up the battle in the late 1980s. Nurmi did however enjoy a career resurgence in the 1980s with just her kind of people – the outsiders and the provocateurs. The goth and punk subcultures worshipped Vampira as the ultimate in gothic deity. Throughout the later years of her life Nurmi became paranoid and at times bitter to the media industry. This paranoia is evident throughout filming and her anxieties and trust issues with Greene at times are unsettling. The documentary could have perhaps benefited from a sharper edit but it was clear director R. H. Greene was not quite ready to finish his love letter to his dear friend. Age did not dull Nurmi’s spirit and the documentary enabled her unconventional opinions to be voiced. Her passion for her own creation, self defiance and humour allow the viewer to gain a greater understand into the character as a whole. Ultimately Vampira proved to be a whirlwind force ahead of her time. Vampira and Me gives long overdue recognition to Maila Nurmi’s own creation and dutifully allows Nurmi to speak to us once more from beyond the grave but this time on her own terms.